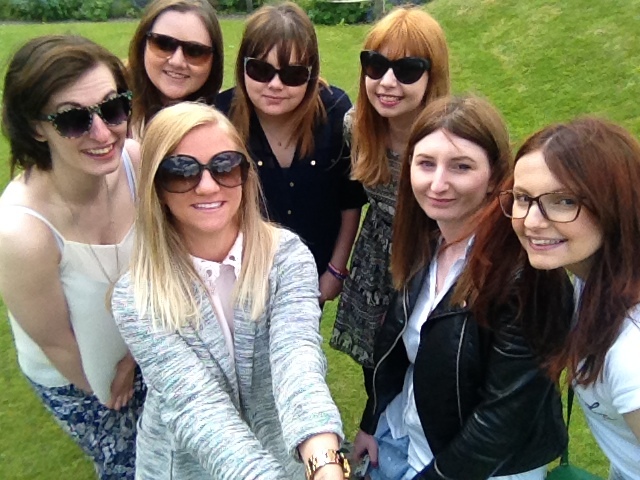 So last Saturday saw the first ever East Midlands blogger meet up! I was super excited because I have been trying to connect with bloggers in my area for ages and never realised there were so many of us! This was the third meet up I’ve been to (the other two being the #BloggersGetHulaFit event in London and the #NWBloggerMeet in Liverpool) and we’d all been talking on WhatsApp for a couple of weeks before so I was really excited to meet the rest of the girls. We’d planned to meet up in Nottingham for our first meet as a couple of the girls live there and it’s really central so easy for everyone to get to. In the morning I felt those familiar butterflies kicking in and I still felt a little hungover from my Cafe in the Park dinner but I needn’t have worried at all. As always at these things, everybody was super nice and all the girls got on like a house on fire and hit it off straight away. Although we were from all different walks of life and areas (from Leicester to Lincoln and everywhere in between!) we all have blogging in common and so we were talking constantly, discussing recent developments in the blogging world, not to mention all the latest gossip. 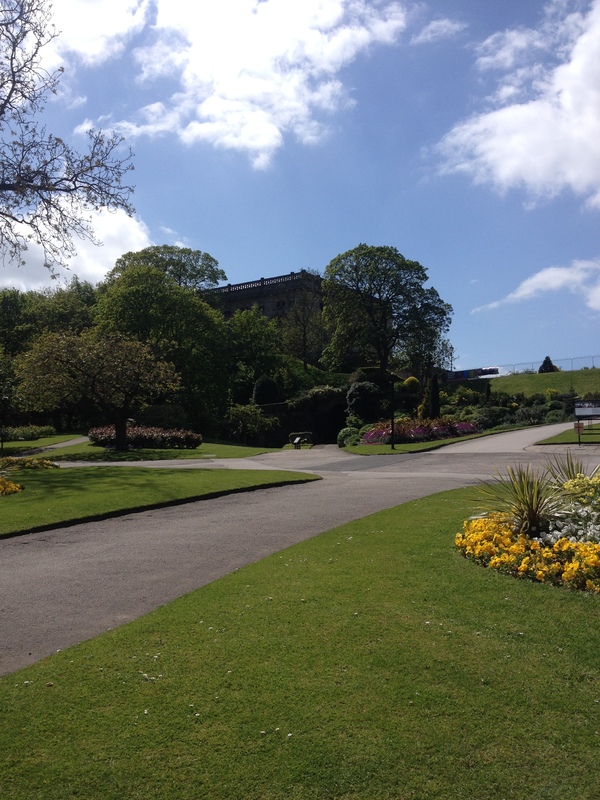 We went to Nottingham Castle for a picnic and we picked the perfect day as the sun was shining. 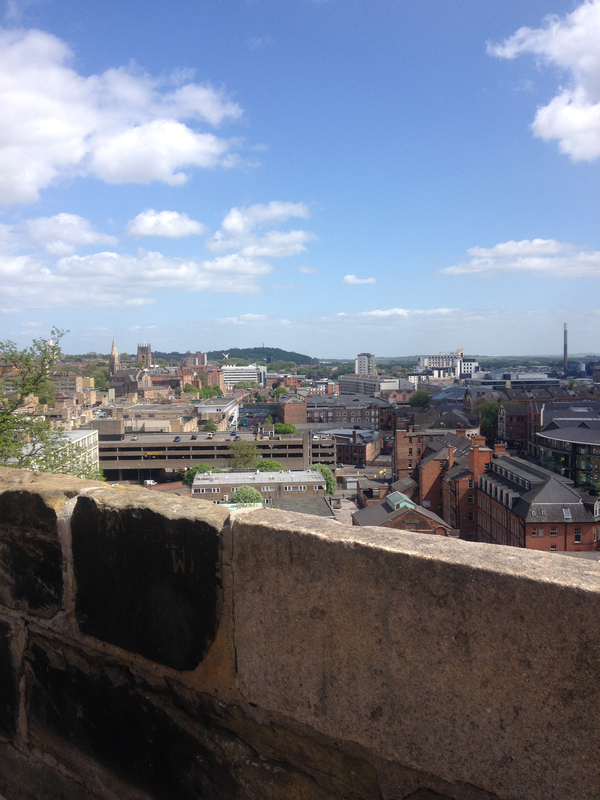 To be honest, I didn’t actually realise Nottingham Castle was where it was. I’d heard of it but never been and I never realised it was a gorgeous castle with beautiful grounds right in the city centre. We’d decided to go for a picnic and all brought a seclection of food with us. We overestimated on the food and had everything from mini sausages to sushi (which I thought I didn’t like but it turns out that I love!) and there was plenty left to take back to the boyfs and hubs. We did a little bit of exploring around the castle where there was an exhibition on with paintings of Penzance and then some installations. To be fair, I know next to nothing about art but I did enjoy having a meander and I appreciated the paintings. We then hit a little bar next to the castle where I indulged in a delicious cider and the chats continued. I’d definitely recommend blogger meet ups to anyone who hasn’t been to one before. Even if you’re a shy person, just put your fears to one side and go – you’ll have loads more ready made friends and you’ll really enjoy yourself. We’re now planning to do a meet up every two months in a different city/town so we can do lots of exploring! If you’re from the East Midlands and you want to get involved, join the Facebook group here!